Developing a meaningful plan takes time, for both our clients and ourselves. The amount of time involved depends upon the complexity of the case and our clients’ expectations and risk tolerance. We use questionnaires to assist in gathering information which allow us to determine risk tolerance, time frame, and expectations regarding market performance for investments. Our clients receive an Investment Policy Statement, which addresses their individual risk tolerance and investment expectations. The software that we use for developing financial, retirement, and estate plans provides realistic “what-if” scenarios that project future cash flows and illustrate the impact of taxation over time. Our clients receive a copy of the plan, including our recommendations. This is the document that we use during periodic review meetings as progress is monitored. The financial plan is the foundation for our recommendations and provides accountability to our clients. 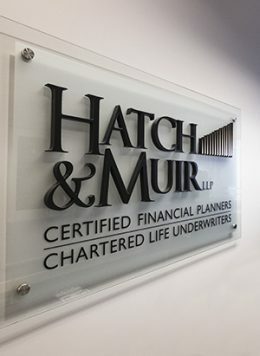 All clients receive a Confidentiality Agreement and a Financial Planning Agreement that describe the kind of work that we do and how we are compensated. The development and implementation of a plan often requires advice from other professionals such as accountants, bankers, trust officers, mortgage brokers, and lawyers. We employ a team approach in conjunction with our clients’ other advisors to ensure that our recommendations are considered by all concerned parties.